Recovery runs are slow and boring, and I feel like they’re a waste of time. My coach assures me that doing it right (running 3 to 4 miles at a pace that would allow snails to pass you) helps your muscles recover faster after tough workouts. And then you’ll be able to push your legs even harder later in the week. I’ve tried all kinds of things to make recovery runs more bearable. Running with music—but I tend to match the beat and my speed increases, even on slow jams. Catching up with a buddy is no good either, because I pick up the pace too much when I talk. One thing that does help: Testing out new shoes. (This discovery is going to be rough on my bank account.) Having to slow down helps me focus on how my feet feel and the performance of the shoes. 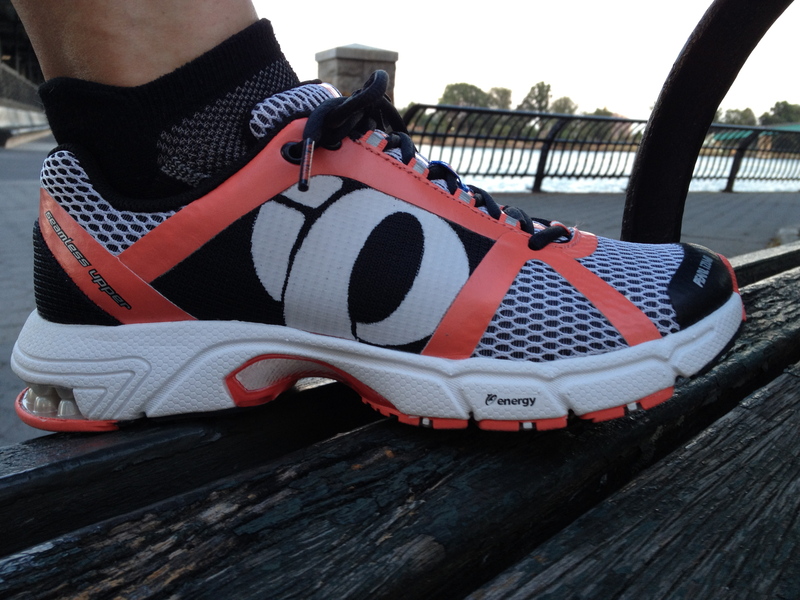 I recently tried the Pearl Izumi W’s syncroFuel Road II. Besides being cute, they’re really comfy—great for those who like to baby their feet on high mileage runs. I did experience some heel slip, but it was easily corrected when I lock-laced them. Do you know that trick? I tried to take a couple step-by-step picks to illustrate the technique. Step 1: Lace your shoes normally. 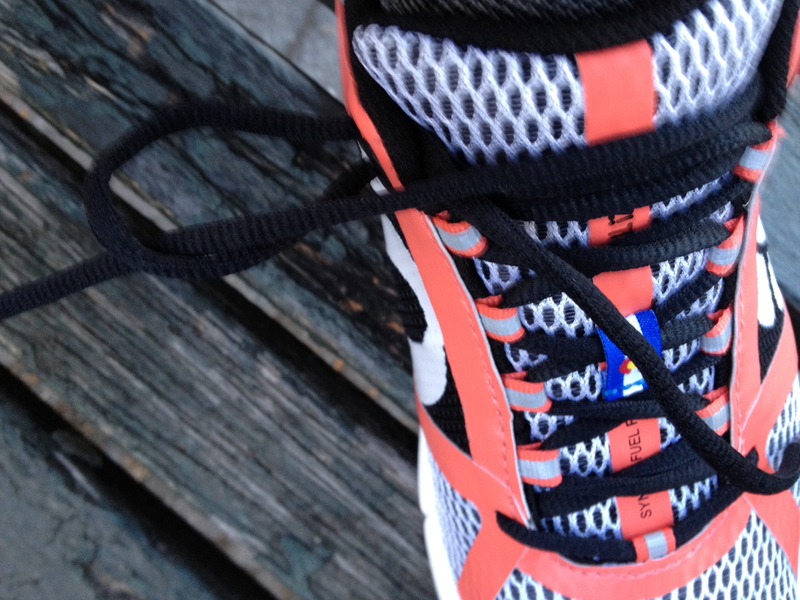 When you get to the top, create two loops (one on each side) by putting the laces into the last eyelets. 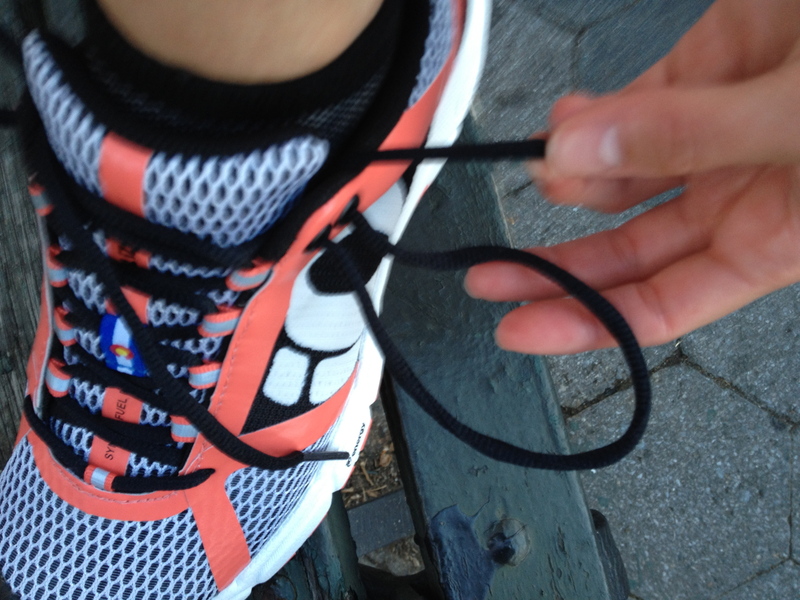 Step 2: Cross the laces over the front of the shoe, and thread them through the opposite loops. Step 3: Pull tight and finish by tying as usual. Now the shoe will be extra snug around your ankle, correcting the heel slip. 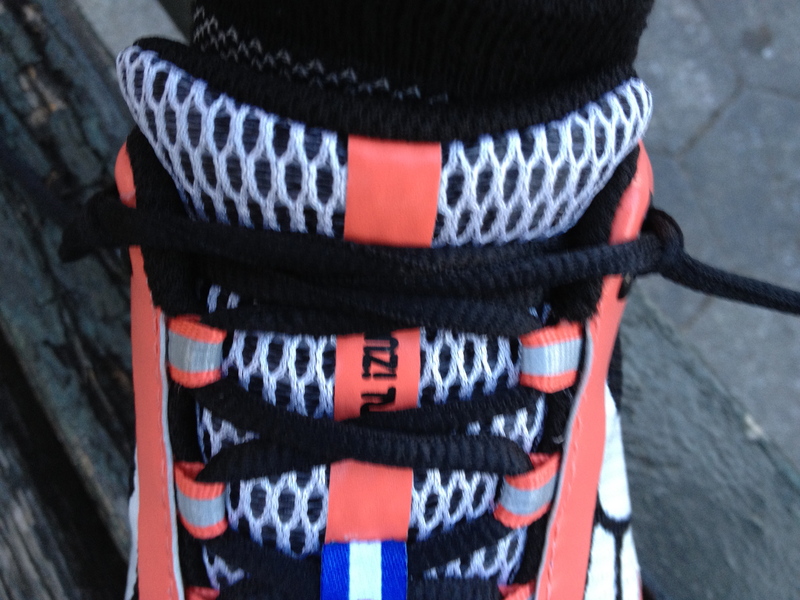 Have you tried any Pearl Izumi kicks? Got any tips for making slow runs more fun?